“I, Tom Turkey, hope to be cooked by a woman of integrity.” This was the caption below a wonderfully-dressed turkey, sketched shortly before Thanksgiving on the back of a Sacrament meeting program dedicated to the ‘Women of Integrity’ in our ward. Sitting with my father in church was never dull; he generally produced two or three slightly irreverent cartoons per meeting, often featuring the bishopric or other ward members (apologies, brethren). 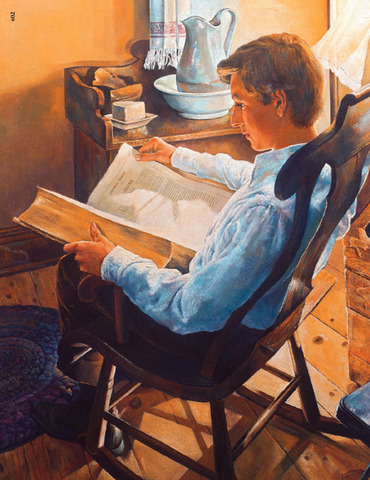 And while his satire was deeply appreciated by those of us in the back row of the Yale Ward chapel, my dad, Dale Kilbourn, is more widely known for producing some of the most enduring and loved images in LDS church art.